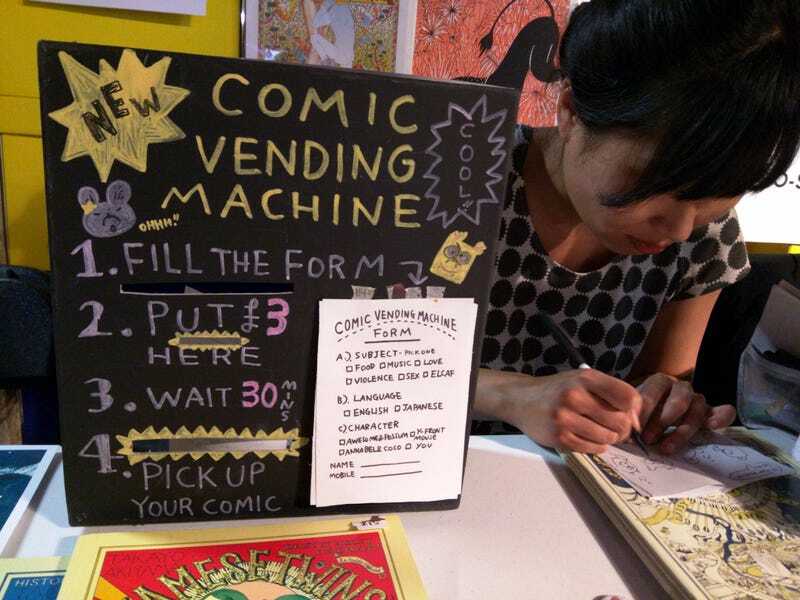 Comics vending machine. Just put in three pounds, fill out the form, and wait 30 minutes. Boom! Brand new comic book. Spotted at the East London Comic Arts Festival in Hackney by Cory Doctorow/Flickr.